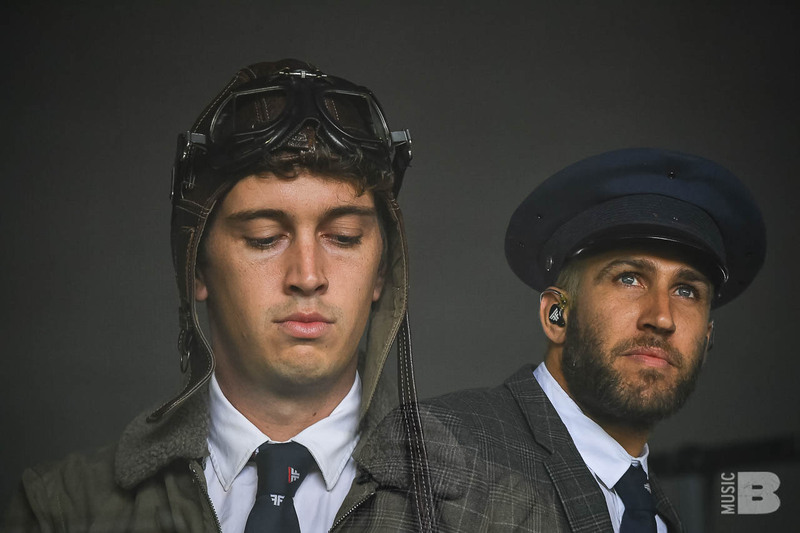 Forget the secret identities and fabricated back stories, Flight Facilities are an Australian based production duo who combine the blissed out pop production of Quincy Jones, the dancefloor hedonism of Daft Punk and the intoxicating head rush of the best night of your life. After first emerging last year with sultry Summer reworkings of Bag Raiders Turbo Love, The Lowbrows Dream In The Desert, Toecutters Best Party Ever, The C90s Shine a Light and the duo truly came into their own when, at the behest of dance imprint Bang Gang 12s, they produced an original of their own. At once a rapturous Summer anthem, late night soundtrack to the unravelling of your frontal lobe and subdued slow burner suited to doing nothing at all, the resulting track would be dubbed Crave You, the Aeroplane-approved breakout single. But this isnt just your typical club banger, its far more languid than that, more refined. Think radiant dance pop infused with luscious keys, dusty beat work and the coquettish purr of Melbourne songwriter Giselle Rosselli - all channelled through the slinky nonchalance of a sleepy-eyed lounge crooner. Aside from fast becoming a club and festival circuit mainstay, Crave You would go on to draw significant radio airplay, remixes from the likes of Cassian, Graz and The C90s, a cover by Ted and Francis and even the praise of celebrity blogger Perez Hilton. Now, thanks to Rhett Wade Ferrell of Melbournes Moopjaw collective (the production house responsible for recent music videos by Peaches, Neon Indian and The Golden Filter) one of the most infectious jams of 2010 now has a visual accompaniment. Things to note: Aside from being Flight Facilities debut music video, the New York shot clip also includes an appearance by fashion designer Christian Joy, best known as the dress dismantling costume designer for Yeah Yeah Yeahs frontwoman Karen O, as well as a striking transgender girl as the clips male protagonist and New York stunner Whitney Brown. Flight Facilities capped off their breakout year with a well-deserved SMAC Award nod for Best Song of 2010, a Kitsune Maison Release, and finish inside the top 20 tracks on Australias biggest radio poll; Triple Js Hottest 100 2010. Touring 35 shows across Europe, two japan tours and numerous festival slots with highlights playing Falls Festival to a 5000 strong crowd, Harbourlife, Summerdayze, Parklife and Shore Thing!